Louise Li, WG’19, is part of Wharton Global Impact Consultants — a group that took her to Mongolia, a region she hadn’t expected to visit as part of the Wharton MBA Health Care Management Program. On the trip, not only did she visit a new country and make a meaningful social impact, but also applied classroom learning to a unique hands-on project: helping a local nonprofit. Louise began her career in the health care industry while receiving a master’s degree in bioengineering from Penn. She has conducted research at the Abramson Family Cancer Research Institute, worked at GlaxoSmithKlein, and most recently was an analyst at Genentech. 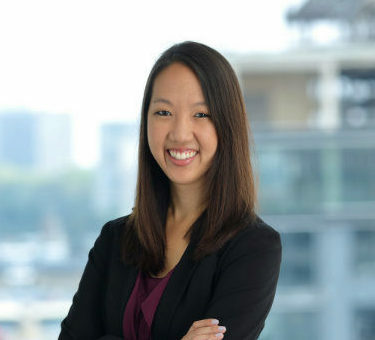 Louise’s varied experiences and interest in biotechnology led her to Wharton, where she is studying the intersection of healthcare, technology, and business. Here’s what she had to say about her experience in Mongolia. As the flight attendant announced we were approaching Ulaanbaatar, I wondered what I had gotten myself into. I was about to land in an unfamiliar place whose language and culture I didn’t understand. Little did I know, that week in Mongolia would become a highlight of my Wharton experience. Wharton Global Impact Consultants is made up of students who apply business skills to help social-impact enterprises and nonprofits in developing countries. Our projects range from developing public health interventions through a Bolivian NGO, to creating community service projects for Cambodian villages. This time, I was part of a team who journeyed to one of the least densely populated countries in the world. We were tasked with helping a local nonprofit social enterprise launch a product to reduce heat loss in gers (similar in structure to yurts) for lower-income residents living in the outskirts of Ulaanbaatar, Mongolia’s capital. In Mongolia, my team of six classmates (and now friends) interviewed other NGOs, visited residents in the ger districts, discussed financial options with local banks, interacted with sellers in the city market, and experienced life in a ger. Our trip was richly varied: one day we were discussing public health concerns with UNICEF, and the next day we were playing basketball with children in the ger district. We spent our evenings hitchhiking to restaurants, shopping, and getting to know members of our partner nonprofit as they introduced us to different areas of the city. At the end of the week, we delivered a product-launch strategy that could be applied to other products in development — and also made new, lifelong friends. Even though we arrived as strangers to Ulaanbaatar, we left feeling a strong connection to the Mongolian people. I could not have gotten this unique experience in the classroom, and I am thankful for the opportunity to work with a group of passionate people making a meaningful impact.